Elizabethan writer William Shakespeare didn’t think much of names. He famously had Juliet bewailing “What’s in a name? That which we call a rose. By any other name would smell as sweet” in his tragic love story Romeo & Juliet. But then what does he know? He may be the world’s greatest playwright, but nowadays when it comes to nicknames everyone’s after one. Nicknames indicate fondness, familiarity or sometimes, even notoriety. Naming buildings serves the same function; The Gherkin, The Heron Tower, The Walkie Talkie or The Shard are all given more importance by dint of their established monikers. Several of the Serpentine Pavilions have been christened too. 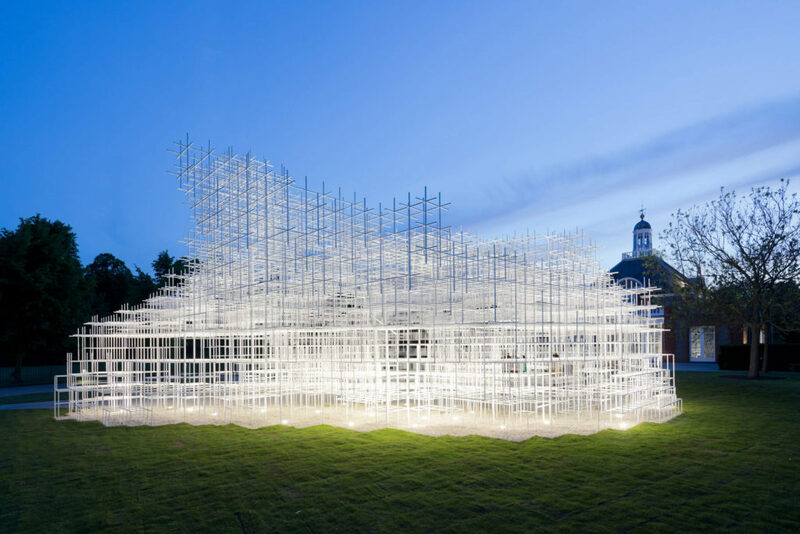 Sou Fujimoto’s 2013 Pavilion was called The Digital Cloud because the white, ephemeral grid seemed to float above the lawn. 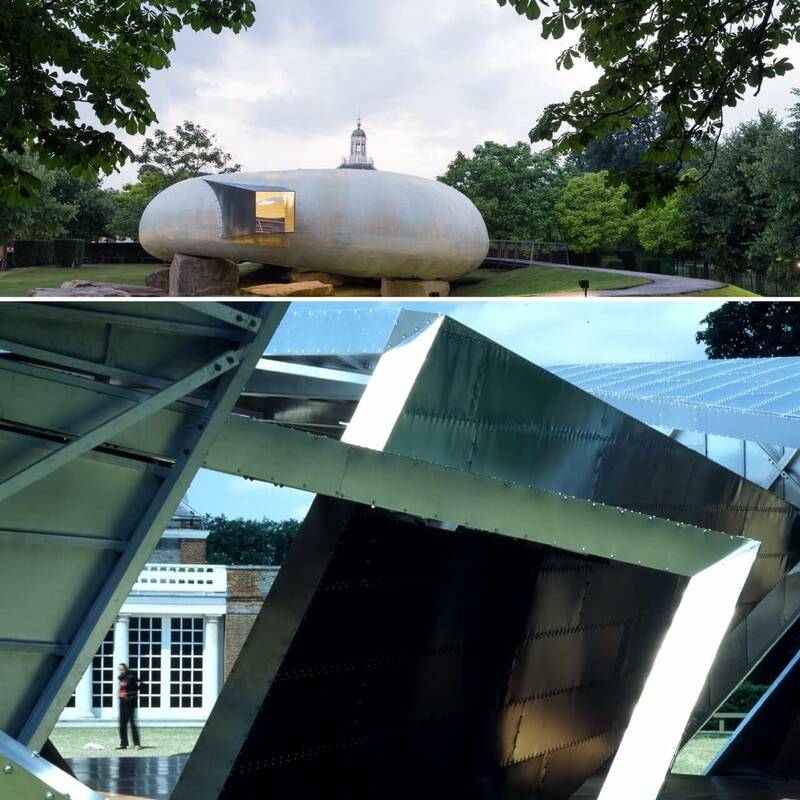 The year after Smiljan Radic’s semi-translucent cylindrical Pavilion was nicknamed The Shell, while Daniel Libeskind’s cubic design for his 2001 Pavilion was called Eighteen Turns, to reflect the dynamic sequence of metallic planes that it was made from. This year selgascano called theirs The Hungry Pavilion. And it’s not only famous buildings that deserve to be named. Throughout the competition we’ve been excited to read the Pavilion titles you’ve been coming up with. Adam calls his design ‘Pavilion of the People’, which gives it both a dramatic and democratic air. It was inspired by the Parthenon in Greece – the home of democracy – so it’s both a fitting and attention grabbing title. 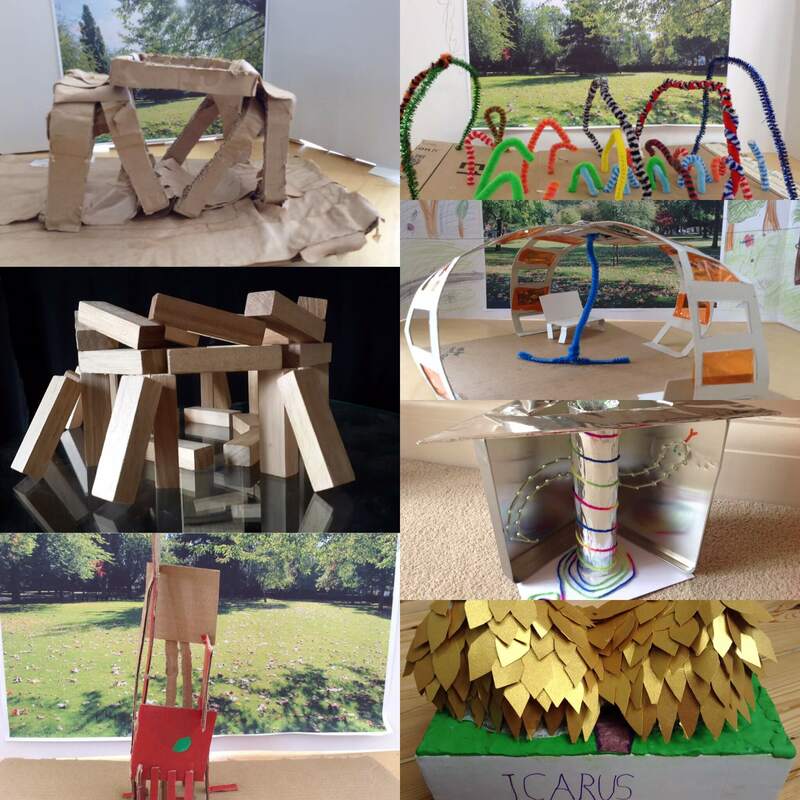 Other names include Azaan’s ‘Candy Cane World’, which was influenced by the weird and wonderful edible world of Charlie and the Chocolate Factory and Rosalind ‘s ‘Under and Over’ Pavilion, a design inspired by ladders.